Balsam of Peru Essential Oil has an exotic aroma which is anchoring, strengthening and imparts a rich, earthy scent to perfumes. Aroma: A rich, sweet vanilla-like aroma. Blends Well With: Petitgrain, Ylang Ylang, Sandalwood, Rose and Spice Oils. Balsam Peru essential oil is extracted from the protective resin that exudes from the bark of the tree when it is wounded. 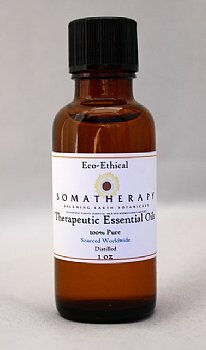 The oil is used as a fixative and fragrance component in lotions, detergents, soaps, and other body care products. It has an exotic aroma which is anchoring, strengthening and imparts a rich, earthy scent to perfumes. Energetically, it is said to have stimulating as well as calming properties in times of stress. Balsam Peru is a very thick oil and the reducer cap on the smaller bottles may need to be removed in order to extract. Gently warming the bottle in a double boiler may help as well. As with all of our essential oils (unless clearly stated), this Balsam Peru is 100% pure, undiluted essential oil. Balsam Peru essential oil may cause skin sensitization.